• System design relatively simple. • Units can be changed to other wells at a minimum cost. • Efficient, simple and easy to be operated. • Applicable for slim hole (small diameter wells) and multiple completions. • The system is naturally vented for gas separation and fluid level surveys. • You can raise high oil viscosity and temperature. • You can use gas or electricity as a source of power. • Dsiponible in different sizes depending on the amount of lift. • You can pick up large volumes at high depths (500 bpd to 15 ft for example). Allows up to 18 000 ft.
• presents few problems in deviated wells. • Your power supply can be installed remotely. • You can also use gas or electricity as a source of power. • Easy to install a bottom pressure sensor for pressure via telemetry cable. • No problem in deviated wells. • Also suitable for offshore. • Rising cost for high volume generally low. 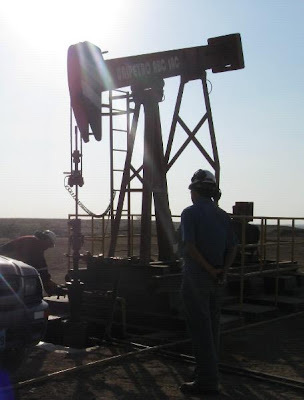 • Handles high-volume wells in high production rate (Gas lift continued) (50 000 bpd). • Fairly flexible. Can be converted from continuous to intermittent. • Your power supply can be remotely located. • Rising gas wells does not present major problems. • Wells diverted no problems except to remove and operate valves and wireline.